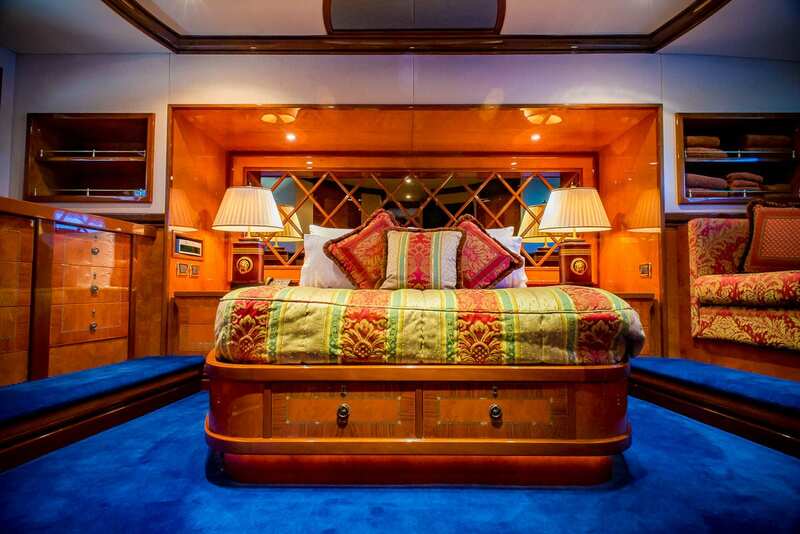 Patriot 1 offers four spacious staterooms all with ensuite, providing sophisticated comfort in luxurious surrounds for up to eight guests overnight. 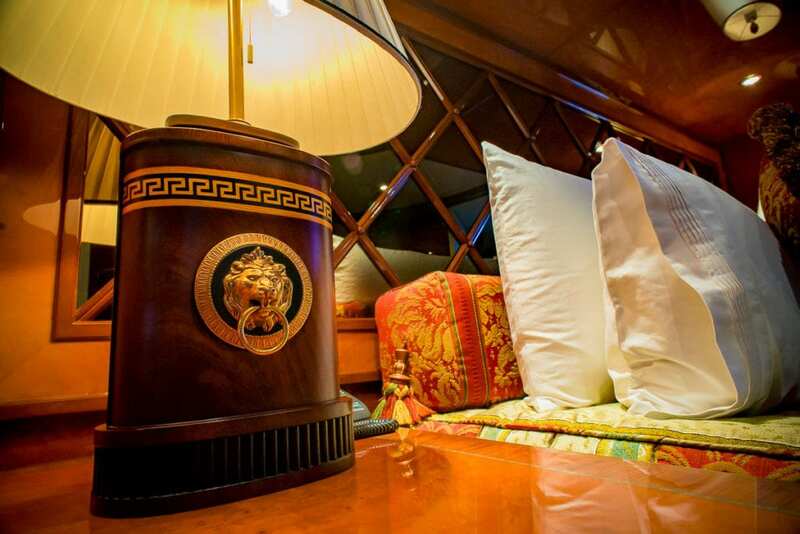 Located on the lower level down the stunning curved staircase each stateroom has deluxe natural amenities from Linden Leaves, bathrobes and slippers. 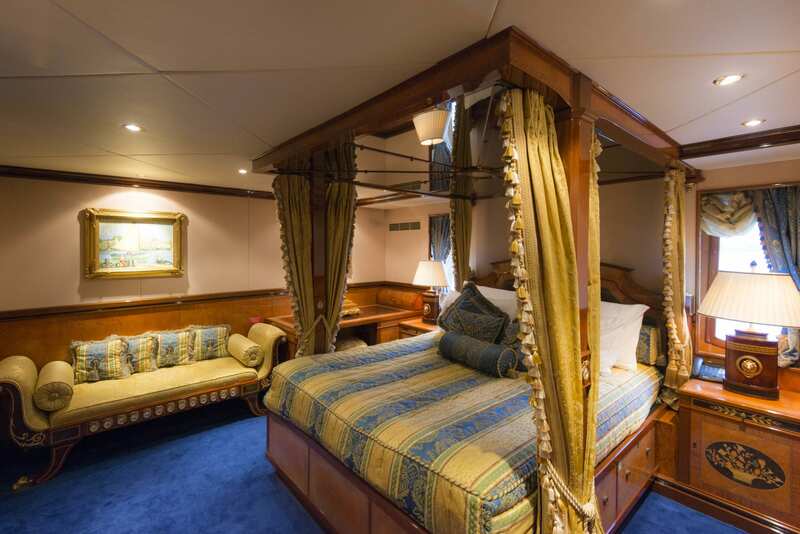 Retiring gracefully takes on new meaning in a spacious Master Stateroom that features a four-poster Queen bed, day lounge, writing desk and large windows, while an inch of carpet pampers you underfoot. 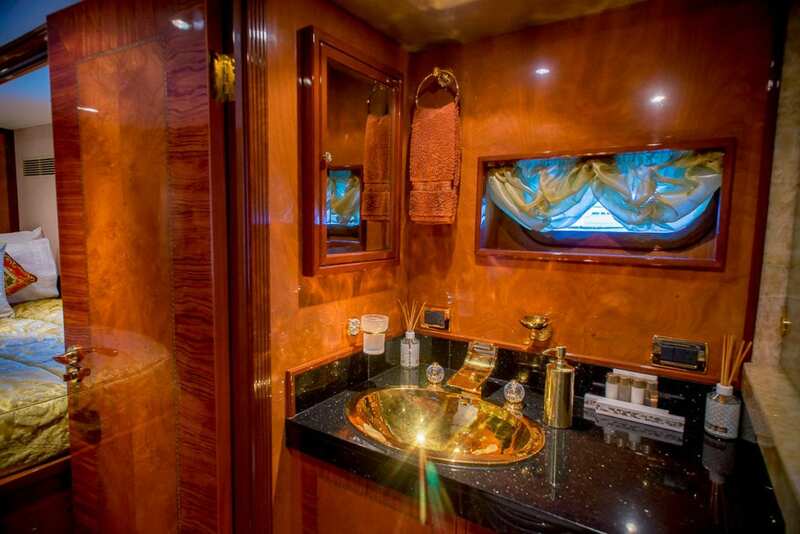 The double ensuite is lined with translucent honey onyx complementing gold basins and gold-plated and cut crystal accessories from Paris. 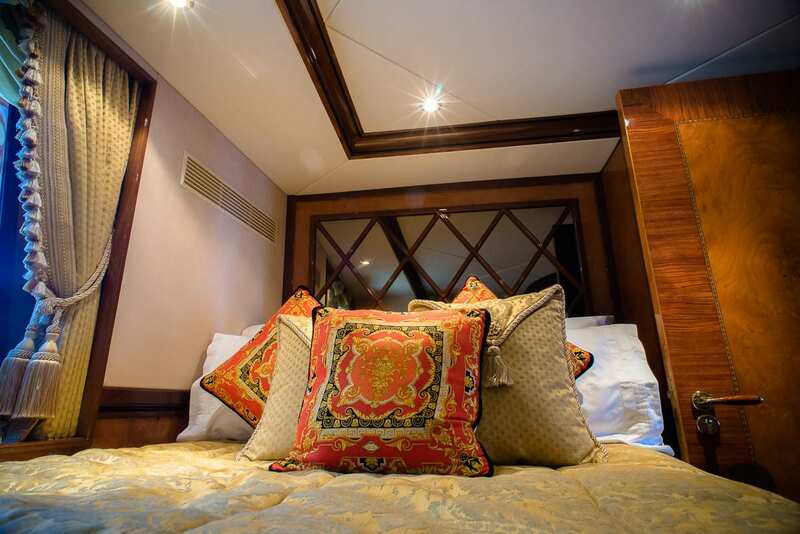 A large LCD TV and Bose audio system turn your private retreat into a floating cinema complete with surround sound via fully hidden speakers. 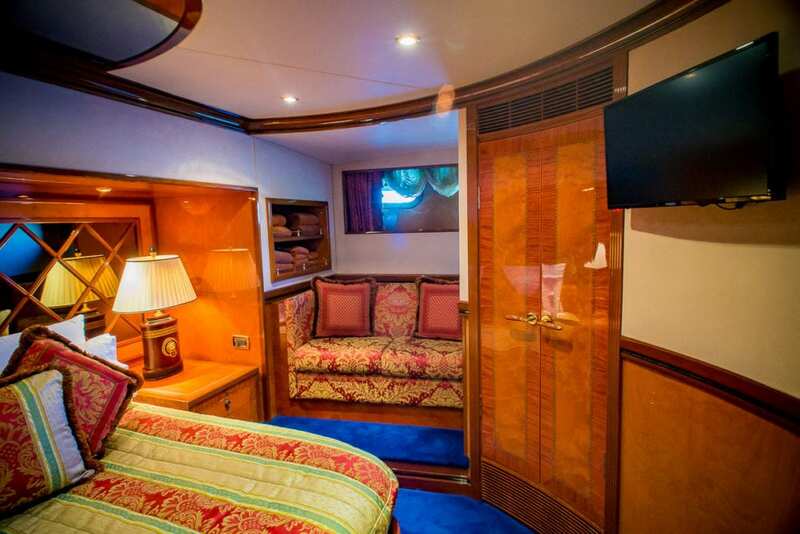 Located forward with curved bulkheads and large windows overlooking the water, the VIP Stateroom is a sea of glossy timber, upholstered suede and plush carpeting. 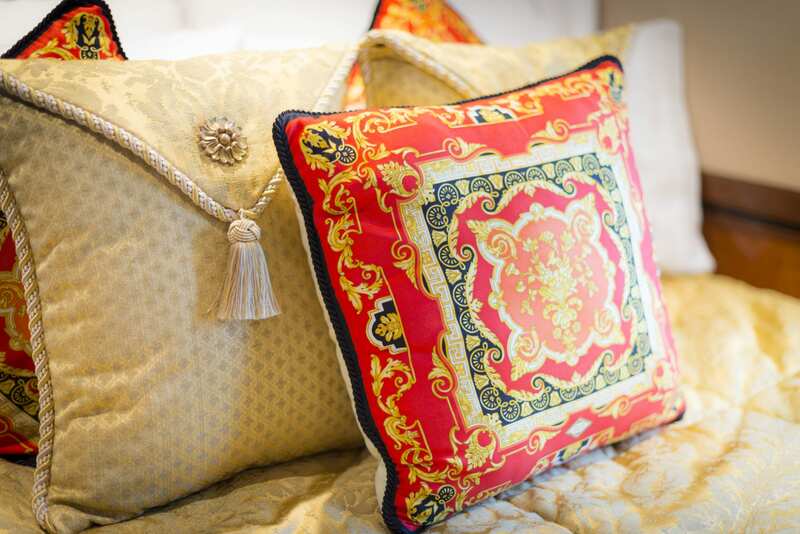 With ample storage, you can unpack and relax in sophisticated surrounds, including a lounge, beautifully appointed ensuite and separate toilet. A LCD flat screen TV and surround sound audio complete the picture. 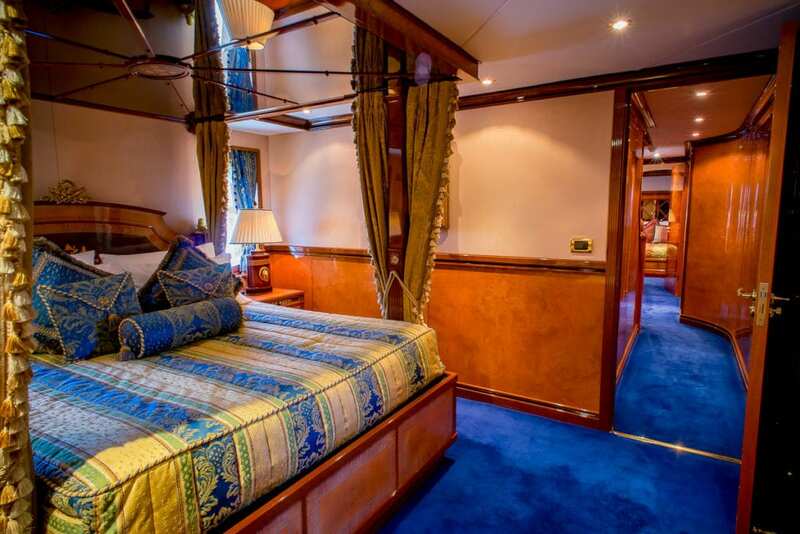 The two lavish double guest staterooms located midships port and starboard, offer superior comfort. 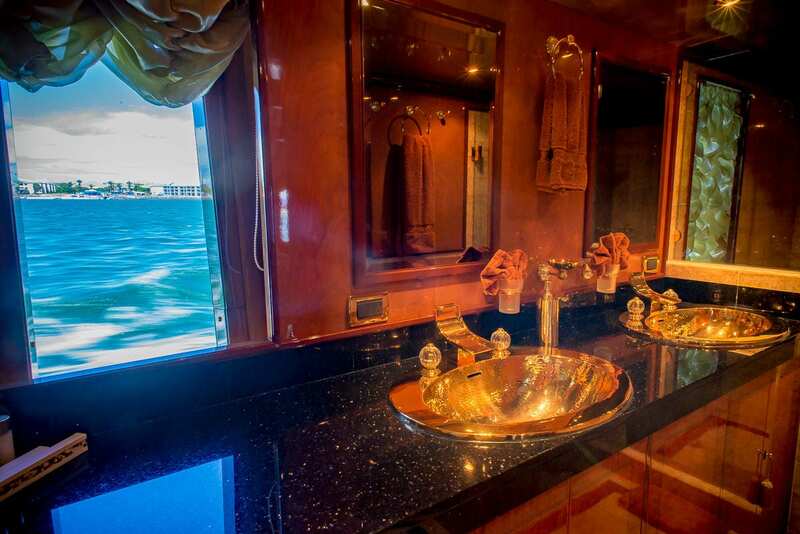 Appointed with gold and red hues, both port and starboard staterooms offer ensuite with stunning granite benchotops and rainfall shower heads. 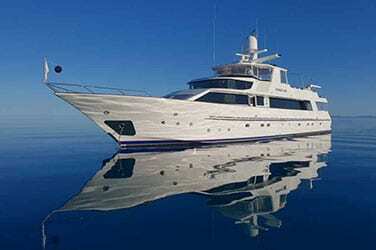 Flat screen LCD TV's with surround sound offer entertainment in relaxing surrounds. 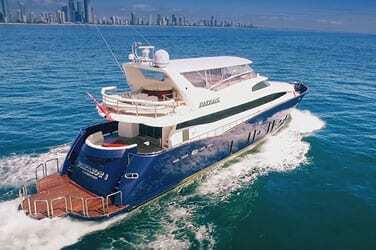 Life on the high seas has never been so comfortable.